with logbook software. I guess everyone has quirks and idiosyncrasies. Mine is that I like to explore and play around with logging software, as I have indicated on previous posts of this blog. Currently, I am playing around with Ham Radio Deluxe. It is a very nice program and it is free! Currently I have three logging programs on my computer(s). Win-EQF, which I had used since 1992, but stopped using last November. It is a very nice, user friendly program that is very intuitive and easy to use. However, it is not a true Windows program. It still has that UNIX look that is just plain "old" looking. Granted, it did everything I wanted it to do; but it just got old. Second is AC Log by N3FJP. I have been using this since last year. It is also a very nice and extremely popular program. It is easy to use and has a nice Windows Excel feel to it. It has just about all the basic features that you could want - logging, DX Cluster, export to LOTW, etc. There are a few bells and whistles that I could think of adding; but alas, I am not a software engineer. My familiarity with code is of the Morse kind. Third is HRD. I have installed it on all three computers - main family computer, netbook and shack laptop. It seems to work well on all three, even the shack laptop that is cranky and uses Windows 2000. HRD seems to have all the bells and whistles you could ever want. Logbook, DX Cluster, Web browser, grayline map, etc, etc, etc - all available in the main screen. I have not played around with it long enough to be comfortably familiar with it; but it does appear to be a superbly written piece of software for the right price. To take advantage of all the features, you really need to have Internet access in your shack. That is something that I did not have until last November, when we hooked up to Verizon FiOS. Now the wireless router allows me to hook up to the Internet from my basement shack with ease. For the time being, I will probably keep my log going on both AC Log and HRD until I figure out which I will keep for the long run. I will probably take a big leap and delete Win-EQF from the computers. On a side note, I see the SSN has been up lately and that solar flux has been creeping up again to the mid 70s. Conditions are improving slowly. It looks like I may be able to get some radio time in over the upcoming Independence Day weekend. I hope we don't run into any geo-magnetic disturbances! I took a look at some of the stats for this blog today. Over the weekend, I had about a 30% drop in hits. Of course it was due to Field Day! I'm glad that most of you were too busy to be reading this. So, from what I am seeing on the QRP and portable operating reflectors, propagation was a blast over the weekend. 15 Meters was wide open and 80 Meters was red hot LATE into the evening. Next year, if I am fortunate enough, I'd really like to visit the Sarnoff Amateur Radio Club Field Day site in Princeton, NJ. It is a total QRP effort with low power, solar panels, batteries .... the whole shebang. The heat wave here in Central NJ is now in about its fifth day and I think it has come to an end. We had some rain come through this afternoon and it is still very hot and sticky. However, the temperatures have fallen below the magic 90F (32C) mark; and it looks like we won't approach that point on the thermometer until next Sunday (maybe). This is a psychological victory only, however, because when you step outside it still feels like a sauna. I have also decided to get in some "male bonding" time (as W3BBO called it) with the PFR3A. This summer, when we go up to Lake George, I am going to pack light, radio wise. This year I will take the PFR3A loaded with internal AA batteries, the Emtech ZM-2, the AA0ZZ keyer and the Buddistick and one of my doublets. Hopefully during that week, I will get in some time to play around exclusively with the PFR3A and get to know its idiosyncrasies a little bit better. As a side benefit, everything should fit nicely in my smaller "CQ" backpack. I am very much looking forward to this vacation and can't wait until it gets here. I am also looking forward to the upcoming, long Independence Day weekend. I need the downtime badly. I wonder if they will eventually make FD a one day event? This morning after Mass, I talked on 160 with Tom KA3FZN, then decided to take a drive and see how the guys were making out. Nice morning here, a little warm but very humid, a good time to spend in a car with A/C. Anyway, I drive down to Union City and....nobody there! Not a sign of antennas or anything. Guess they packed it in at sunset yesterday. I continued on to the Wattsburg Wireless site and found Frank KB3NAT there packing everything away. Frank is a young enthusiastic ham who spent all day Saturday and Saturday night at FD. He said he had had enough and was heading home to bed! It was 11 AM. I remember you used to enjoy the night shift at FD, but I wonder how many clubs stay with it for the full time period? This might make a good poll for the ARRL. Maybe a one day event with setup starting at 8 AM local, under emergency conditions would be more interesting? You could run a 100 watt rig if you like, off of batteries, but no generators. Solar panels, use them if you got them. Once your batteries run down though, you're out of the game. I imagine the rules could be such that operating under emergency conditions could be fun, interesting, and very informative. Never happen though, FD is just a social event no matter how we Hams preach the emergency side of it. Guess these kind of thoughts always come up after FD! Hi. What has YOUR experience been? Did your club or group have enough operators? Did you have a hard time filling time slots, especially the overnight? When I was active with the Piscataway Amateur Radio Club, I did the best I could to stay the whole 24 hours. When I was a club officer, I felt it was my duty. But there were times when I was the only one banging away at the key for the 2:00 to 4:00 AM shift - doing my own logging to boot. I guess it's always the same. People are more than eager to grab the mic or key when things start happening at 2:00 PM on Saturday afternoon and then on Sunday morning after a good night's sleep. Filling in those hours from about 10:00 PM or so until about 7:00 AM Sunday morning can be a chore. Would Field Day be better as a one day event? Would participation go down or perhaps even up? I think for the big stations, it would probably go down. I can understand the thought process of, "I'm not doing all this work for just one day". Conversely, maybe the participation by small one or two manned, stick-a wire-in-a-tree-and-let's-get-going efforts would increase. Things to think about, for sure. Field Day weekend seems like it will bring the first official heatwave of the Summer of 2010 in Central NJ. By definition, a heatwave is three or more days of over 90F (32C) weather. It topped out above 90F here yesterday and today and is expected to do so again on Saturday and Sunday. Which reminds me of a PARC Field Day about a dozen or so years ago. I was in W2PQ's pop up camper which served as the 80/40 Meter CW station with Tim Koeth N2LPN and Bill Koeth W2WK. It was VERY hot and humid, a sultry day by the very definition of sultry. It just so happened that a thunderstorm was brewing, so as soon as we heard the distant thunderclaps, Tim and I disconnected the wire antenna from the radio and we dropped it on the floor (forgetting to throw it out the window). As we were sitting out the thunder and lightning, we kept on hearing this small "tic .... tic .... tic" sound. We were wondering what it was when we happened to look down on the floor, where we saw a small blue arc traveling between the center conductor to the shield on the PL-259 connector of the coax we had dropped on the floor! While we were taking no direct hits, the static charge was building up enough on the wire to cause the arcing at the radio end of the coax. Good thing it wasn't plugged in; and that graphic lesson has stayed with me ever since. If you're going out for Field Day tomorrow make sure you bring along plenty of sunscreen and make sure you stay hydrated throughout the event. Have fun and be careful; and if a sudden boomer pops up out of nowhere, remember to toss the coax out of your tent, trailer, camper or whatever! I am engaged in a stupid little project that is nothing more than a testament to some amount of Obsessive Compulsive Disorder that I probably have. I am creating a spreadsheet using Open Office and I am attempting to achieve some kind of universality between the Alinco HT, the Wouxun HT and my Icom mobile radio. The idea is for all three radios to have the same 2 Meter repeaters programmed in; and for the Alinco and Icom mobile to have the same 2 Meter and 440 repeaters programmed in. The Wouxun has 2 Meter and 220 MHz repeaters programmed in. I guess I have been using this as an excuse not to move around too much as it was super hot and humid today. Driving in to work this morning, at 8:00 AM, it was already around 80F (27C). It finally reached 98F (37C) this afternoon. The forecast was for some severe thunderstorms in the afternoon; but they stayed to the very southern portions of NJ. We did not receive much in the way of relief, even though a cool front was supposed to have moved into the area. But it must have, as the forecast for tomorrow is for the day to be about a whole whopping 5 degrees or so cooler. Some cool front! To finish this little project, all I have to do is finish programming the Icom mobile to match the Alinco HT. In all, both radios will have 37 memories allocated. Nowhere near capacity; but all the local and semi-local repeaters will have been accounted for. Pretty good for a guy who listens more than transmits. Sure enough, it's that time of year again. June has literally blown by at the speed of light and Field Day (the last full weekend in June) is here. It promises to be a busy weekend, personally, with a lot of demands on my time. I don't think that I will be making it to any of the local Field Day sites. And believe me, here in New Jersey, you have quite the choice! All within a relatively short distance from me, I can go to the W2QW/K2ETS venture, which is only about 6 miles away. Also within the immediate area is the RBRA, the Raritan Bay Radio Amateurs who will be putting K2GE on the air in Sayreville, NJ. With just a bit longer drive, I can hook up with the Field Day at the RCA Sarnoff Labs site in Princeton, NJ. This is the one that most members of the NJQRP attend, I believe. And then near Trenton, in Mercer County will be the DVRA (Delaware Valley Radio Association) effort. The weather outlook for the weekend is looking good so far. 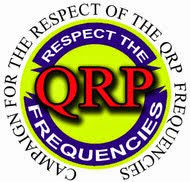 I hope to set up the portable QRP station in the backyard and put some time in between Dad and Husband and Son duties that I need to take care of this weekend. Gone are the days when I would disappear from my parent's house for the entire weekend between set up on Friday, Field Day proper on Saturday, and then clean up into Sunday evening. There were many a night spent sleeping at the Piscataway Amateur Radio Club's site in either W2PQ's pop up camper or W2WK's trailer. Sunburn, mosquito bites and exhaustion were the norm for late that post Field Day Sunday evening. So enjoy Field Day with your club or organization if you possibly can. If you can't, you might want to consider using Field Day as an opportunity to go solo and experiment with your portable QRP set up, refining antennas, operating procedures, etc. This way, when you hit the trail (or park or campsite) you will have a good idea of what works for you and what doesn't. You will know what's necessary to bring along; and what's just so much unnecessary fluff. And it never hurts to get a little practice in, getting those antennas launched and ready to go. The bands will be busy (to say the least) so it will be an excellent chance to get a feel for how well your portable set up is working (or not). When all is said and done, afterward you can use the experience to make whatever changes you feel are prudent. It is definitely no fun to go on vacation and take your portable station with you, only to find out that something is not working; or that you have left something out of your "Go Bag" that is totally necessary. Field Day makes for a good "trial run". And after all, the bottom line is that Field Day is all about setting up under less than optimal conditions in order to get emergency communications out. In the case of an actual emergency or disaster, if I was told that I had to set up a Field Emcomm Station and I could choose either a QRPer who was used to operating in the field using batteries and portable antennas; or a guy whose ONLY exposure to Amateur Radio involved using a kilowatt and a 100 foot tower, I think you know who I would choose to go to battle with! Most of all, have fun and be safe! "Congratulations! You are Bee #74"
I must have missed the announcement on the QRP reflectors. Generally, I do not miss things like this, especially when I am making an effort to keep my eyes peeled. But somehow, I missed the beginning sign ups for a Bee number for the Flight of the Bumblebees Sprint on the last Sunday in July. This is one of my favorite events; and I really look forward to it each year. I'd participate even without a Bee number; but exchanging numbers makes it all the more fun. My suggestion, if you are so inclined, is to send Chris K6DBG an e-mail via the link and get yourself a number. This year, I am thinking of making the trip up to Washington Rock State Park, if the weather is decent that day. I've been meaning to do that for a few years now; but it seems like something has always come up to foil my plans. Maybe this year will be different. The Daily Mail in the UK has published a NASA photo taken from the International Space Station. Way cool! for me were not all that impressive. I quit the Sprint early at about 0215 UTC, as it seemed I worked everyone who was able to hear me. When I hit 20 minutes of CQing and was getting no answers; and searching yielded no new stations, I pulled the plug. Like Kenny Rogers sang, "You gotta know when to hold 'em; and know when to fold 'em". 9 QSOs with 8 different S/P/Cs. One contact on 20 Meters and the rest were on 40 Meters. I guess all the Dads were "festivitied out" from the various Father's Day celebrations taking place; and undoubtedly some areas of the country were probably experiencing thunderstorms. I'm surprised that we didn't get any today. The high for the day must have been around 92 or 93 degrees (34C). It's rare when a day like this occurs and we don't get a thunderstorm; and there are none in the forecast for the rest of the evening. Tomorrow is the official first day of Summer and we are supposed to have temperatures in the high 80s (about 31C) all week. I received some e-mails from a couple of folks who said they were having massive difficulties reading the blog with the new template I had chosen. It appears that with some older processors or older versions of browsers, that things have become painfully slow; or don't work altogether. Rather than lose some valued readers, I have gone back to a simpler design. Don't forget that RFTB is tonight! of you Hams out there who are lucky enough to be Dads. Personally, I don't know what I would do without my Joseph and Cara - they are the best! I am very lucky to be their Dad. The Raritan Valley Radio Club Hamfest seemed to be very well attended this morning. The parking lot was almost full; noticeably fuller than last year. It was obvious as soon as you drove up. The fact that today is a very sunny day without a cloud in the sky has a lot to do with that, I am sure. I didn't get to stay as long as I would have liked as Joey and Cara had to tag along. My wife is working today; so my two offspring had to indulge Dad and walk around with me looking at the goodies. I am sure to them, that the piles of electronics were just so much junk! They got bored pretty quickly; so I only got to stay for about a half hour to 45 minutes. I did pick up the new ARRL storm spotter book as well as a new repeater directory. The one I had was from 2002/2003; and as we all know, things change. I wanted a new antenna for my Alinco dual band HT. There's nothing wrong with the one I have; but I feel it's rather flimsy. I was hoping to find one with a little more "bulk" to it. However, the Comet brand ones that everyone had there were identical to what I have now. No sense in making a lateral move. There was one I would have purchased in a heart beat; but it was a BNC mount and the Alinco is SMA. I wonder why they switched over to SMA? I always thought the BNC was sturdier; but I guess practical usage and market surveys probably indicate otherwise. I was also hoping beyond hope that someone would have a 6 Meter transverter. No dice, of course. Seems I never get lucky enough to find things at Hamfests that I genuinely need or want. I've had a couple of offers for a swap for the PFR3A through private e-mails; and so far, one looks promising. I am waiting on a Ham to get back to me to make sure that he has everything that makes a semi finished Ten Tec 1208 kit. I have no problem completing the job; and I'm sure we'll come to an acceptable agreement. I had one other offer that I thought would be good, too. When I asked this gentleman what model transverter it was, he said he hadn't a clue. Then when I asked for a picture, he told me he had no time to waste to take a picture - why don't I Google Ten Tec 1208 to see what it looks like? Hmmmm ..... I thought he had no clue as to what model it was? That gave me a bad vibe; so I decided to trust my gut and sent back a "Thanks, but no thanks" e-mail. And I instantly got a, "No problem, it's back on my shelf" reply. So all is well that ends well. In the event that nothing works out, I guess I will just start saving the dimes and nickels and maybe I can purchase an Elecraft XV50 for next Summer. Joey and Cara are at a friend's pool party. Even though it's pretty hot, I am headed out to mow the lawn and whack the weeds. I don't want to do THAT tomorrow! I have received a few private e-mails concerning a possible trade for my PFR3A for a 6 Meter transverter. Whomever I end up doing business with - we're going to have to come to an understanding. I am NOT trading a $200 dollar radio for a $130 dollar Ten Tec transverter, even up. I may have been born at night; but it wasn't last night! 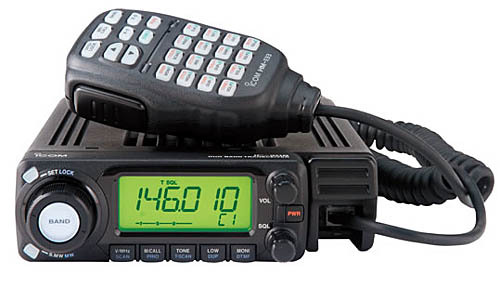 I'd be willing to add some money along with the PFR3A for an Elecraft XV50; but I doubt that's going to happen. My list of items that I will be looking for at the Hamfest on Saturday include a new repeater directory and a new dual band antenna for my Alinco DJ-V5 portable. The years have taken their toll on the original; and I could use something new. I also have an antique AM broadcast table radio in the basement on which I have to conduct an inventory of tubes. I'd like to get that going again. It would make a nice display piece in the living room. I forgot to mention that this past Monday was Flag Day. Flag Day is always celebrated at the W2LJ household as the Stars and Stripes are flown every day throughout the Summer. A special effort is made to display our Nation's standard from Memorial Day right through Labor Day. The Summer weather seems to be a bit gentler towards Old Glory. On another note, with Summer fast approaching (next Monday!) 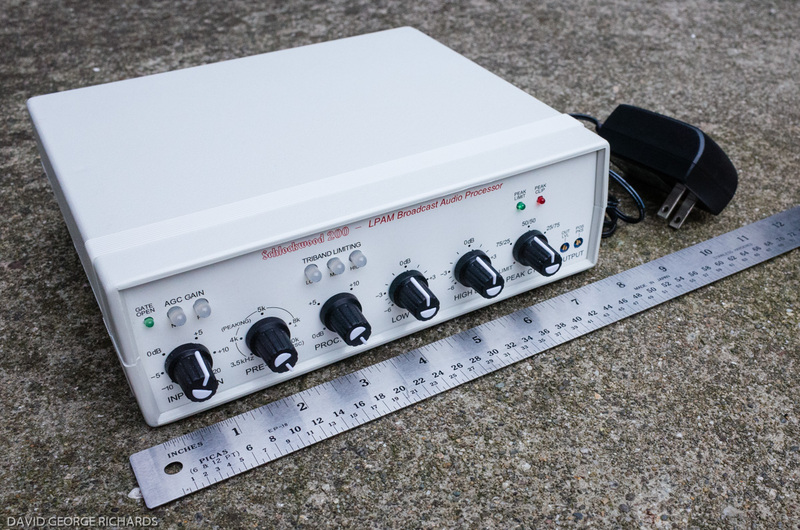 I am looking to acquire a 6 Meter transverter to use with the K2. I have NEVER operated the "Magic Band" before and since the HF9V will handle it, I thought I'd like to give it a go. It seems like a lot of fun; and I'd like to get in on the action. Looking at the prices out there, especially the Elecraft XV50, it looks like it could be an expensive proposition. However, I do have a PFR3A that I am not using at the moment. Does anyone out there have a working 6 Meter transverter out there that they would like to trade? I am amenable to work out a deal. 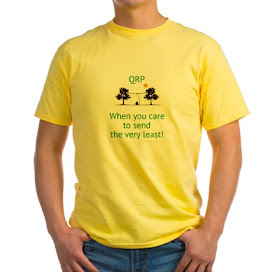 E-mail me privately (w2lj@arrl.net), if interested. This coming weekend is the local RVRC Hamfest, Father's Day and the monthly Run For the Bacon! It promises to be a busy and hot weekend; and even though it's only Wednesday, I am looking forward to it immensely! Even though it's been years since I took my last official SkyWarn Spotter training course, tonight's event was fun and informative. The basic materials remain the same; and all the old information, embedded deep in the cerebellum came back quite quickly. I got my new SkyWarn Spotter ID, which is good for the next three years until the next refresher is needed. There were a few South Plainfield CERT members present at the training as well as other Hams I know through the two local repeater clubs. The presentation was done quite nicely and did not bog down or become boring. Kudos to the National Weather Service team for putting on a superb presentation. The biggest change from my last training had to do with reporting hail size. While the National Weather Service is interested in report of hail of any size, they are particularly interested in reports of hail 1" or larger. It used to be 3/4" or larger; but they found that significant property damage does not occur until the stomes are 1" or larger. The Sayreville, NJ repeater, K2GE is the local SkyWarn repeater for Middlesex County. 146.76 MHz is where we tune in the region when the weather gets nasty. Tomorrow night is one of the few SkyWarn spotter classes being given in the area. So tomorrow night, at 7:00 PM, I will be heading off to the Westfield, NJ Police HQ building to refresh and renew my status as an official SkyWarn spotter. The last time I took training was over 12 yeas ago; and it is now recommended that training should be refreshed every three years. We do get severe weather from time to time here in NJ. Blizzards, hurricanes, thunderstorms. I look upon SkyWarn as part of giving something back to the community for the enjoyment that Amateur Radio has given me. I hope all of you who are beginning to build PFR3As got the chance to take a look at the NG9D video that I had linked to yesterday. It seems that Lynn has taken down his video for some reason or other. It was a good one and I hope it reappears soon. Thanks to those of you who sent me private e-mails complimenting the new look of the blog. Due to some upgrades provided by Blogger, I made a few changes; and I like the look too. I checked the blog from work today; and the Internet browser that I have is so screwey that the blog looks nothing like the way it does at home. At home with Firefox, IE7 or Chrome, the results are fine. At work, with IE7, it looks totally different - more like a jumbled mess. Go figure! Thanks to Lynn NG9D for sharing! This is one really nicely done YouTube video! Great to have you back in our sprints and submitting your log. That's your second highest score in the 33 sprints you've been a part of. Nov 2009 was your best with 2520 points. W4QO was operating from NC, not GA, so you may want to correct your log there. That added one mult to your total and made an even 1700 points for you. " Guess I did better than I had originally thought. One thing you can say about John is that he is the tops when it comes to records and statistics. That he noted the number of Sprints that I have participated in; and that he keeps track of my scores is mind boggling. Got the new magmount through the mail yesterday. I put the new Comet radiator on and slapped it on the roof of the Explorer. I am noticing a small but definite improvement in reception. The place where I work must be in a small RF shadow, though, as far as the two repeaters that I frequent are concerned. I still do not get adequate reception until about 5 minute's worth of driving North from the work QTH. Before the new antenna, it was about 10 minutes worth of driving. So there is some improvement; but not as much as I would have hoped for. 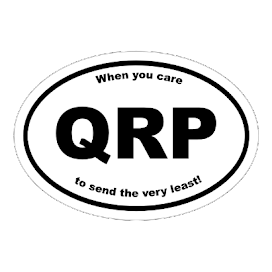 Last night I received a phone call from a newer Ham in Southern New Jersey who was asking for some advice on setting up a station and getting involved in QRP. I always like talking with newer Hams, particularly when they ask about my favorite subjects! Once again, the advice given was to get up a decent antenna as high as possible that the backyard will permit. It's all about the antenna, particularly when you are looking for QRP (or any) success. Compromise antennas are all right for temporary portable operations; but for the home station, you want the best antler up there that you can manage. And that usually equates to dipole as "high up as you can get it" for most Hams that I know. My advice on learning Morse Code, was to download either Koch Trainer or MorseGen. Both of these software packages are wonderful. It's nice to see the long way we've come since those old AMECO 33 1/3 LPs! Ideally, I will be meeting with this newbie Ham at some point in July. It will be nice to put a face with the callsign and telephone voice. This weekend promises to be busy; but I hope to find enough quiet time to submit both my Hoot Owl Sprint and June NAQCC Sprint logs. Tonight I attended my second Raritan Valley Radio Club meeting. My application was read for the second time; and now I await the results of a membership e-mail poll for a "aye" or "nay" decision as to whether or not I become a member. Regardless as to how that turns out, this group puts on one of the better Hamfests in New Jersey and this year's event takes place a week from this Saturday - on June 19th. Father's Day weekend. So if you're in the New York/New Jersey/Pennsylvania area and you're looking for a way to treat yourself that weekend - consider coming to the Hamfest! I will be there, hopefully for my last year as a visitor. Next year I hope to be helping out with some duty or other as a member. But I have fond memories of attending the RVRC Hamfest since my early days as a Ham - even back in the days when it was better known as the "Dunellen Hamfest". This year I will be looking for some basic odds and ends - a new repeater directory and perhaps a better antenna for my 144/440 MHz handheld. As always, I'll also be on the prowl for enclosures and spare parts for projects. Also, from what I understand, there will be a fellow Ham, Bob KC2RDU, who has a ton of tubes for sale. I have an old antique AM Broadcast table top radio given to me by an aunt a few years ago. It isn't working and I think it needs some tubes. I will have to do an inventory of what's in there to see if I can find replacements. If you're in the area - stop on by! I'm sure you'll have a good time and the possibility of walking away with a bargain or two is a distinct possibility! "Use it or lose it". A very familiar saying - and also the truth. I tried running a frequency and was only mildly successful. I never got into a good rhythm or a good QSO rate. So I alternated between running and "searching and pouncing". In all, I made 25 QSOs in just under two hours worth of participation. Ech! It's tempting to blame my results on poor band conditions; but that would be a lie. There was plenty of participation - I was just off kilter. If I do have one lame excuse, though - I can blame some lack of performance on 20 Meters due to some fierce QRN that I was experiencing. For about the first 45 minutes of the sprint, 20 Meters had an S7 buzzsaw on it. After it disappeared, I made only about 4 or 5 contacts on that band. I think I could have made more if it wasn't so noisy, early on. 40 Meters was once again the money band, with the overwhelming majority of my contacts made there. It was a nice, quiet band with very little QRN, I spent the last 15 to 20 minutes of the Sprint hunting for contacts on 80 Meters. I made three. 80 was in full Summer QRN/static mode. Even with my poor personal performance, I still had a good time. It was good to hear some old, familiar calls and a bunch of new ones, too. Looks like the NAQCC Sprints are drawing quite the crowd! A couple of years ago, when I won my Icom IC-208 at the Sussex Hamfest, I needed to by a new dual band antenna. I previously had had a Yaesu 144 MHz monoband rig in the car. So when I swapped rigs out, I scrapped my Radio Shack 5/8 wave 2 Meter antenna (which was a SOLID performer, by the way) and went with an "inexpensive" (cheap) Diamond dual band antenna. At the time, it was all I was able to afford, and since I did way more listening than talking, it served its purpose rather well. Lately, since I've been doing a bit more talking, I have once again come to realize that the old adage, "You get what you pay for" still holds true. I find my self boosting power when I feel I shouldn't have to. A better antenna would allow me to get into the repeaters that I want to get into with lower power. So about a week ago, I purchased a Comet SSB5 antenna with a PL-259 mount, thinking that I could save a few bucks by re-using my old Radio Shack magmount, which is also PL-259. Wrong! I received the SSB5 radiator the other day, only to find out that the connection at the bottom is male and that the "post" sticking out of the Radio Shack magmount is also male. I suppose I could use a double female barrel connector, but decided to go with the proper magmount base instead. It should be here some time this week; and hopefully it will be the antenna on top of the Explorer this time next week. This radiator is 42" tall as opposed to the mere 19" radiator that I have now. It's always better to improve the antenna over boosting power; so I should be in good stead in a little while. Once again, my attempt at frugality has cost me some time. I also downloaded the NØNBH propagation widget for my Windows sidebar this weekend. Looking at it, I see that the solar flux is headed down the pipes at a current level of only 68, even though the sunspot number is at 25. When the solar flux dips like that, it sure makes for poorer propagation. I can't wait until Ol' Sol makes up his mind as to what he finally wants to do and starts being a little more consistent. I received an e-mail last week from a gentleman who was looking for some help with a little Morse translation. It seems that my passion for Morse Code has become well known on the Internet! Anyway, it seems this gentleman is producing an ad campaign for a customer and some Morse Code is involved. Would I care to listen to some snippets of Morse to verify accuracy? So I received two MP3 files today and I believe they were supposed to be the same sentence. One was well sent with good spacing and timing. The second was pretty much gibberish! I sent him translations of both files and had to express that the translation of the second sound file was NOT typos! It was so poorly done with bad spacing and timing that it came out as an almost unrecognizable jumble. Only a few words were sent clearly enough that I was able to tell that the two files contained the same message. In Morse, not only are the dits and dahs important; but so is the spacing between letters and words. Bad spacing makes for unintelligible communications. But then, you all knew that already - right?